This article is about the Norwegian song contest. For this year's edition, see Melodi Grand Prix 2016. For the Danish contest, see Dansk Melodi Grand Prix. For other uses of "Melodi Grand Prix", see Melodi Grand Prix (disambiguation). Pop music, folk music, classical music, rock music, etc. Melodi Grand Prix or Norwegian Melodi Grand Prix (Norwegian: Norsk Melodi Grand Prix), known as Grand Prix and MGP is an annual music competition organised by Norwegian public broadcaster Norsk Rikskringkasting (NRK). It determines the country's representative for the Eurovision Song Contest, and has been staged almost every year since 1960. The festival has produced three Eurovision winners and nine top-five placings for Norway at the contest. However, Norway holds the record for the number of entries who have come last since entering Eurovision; 11 in all. Despite this, the competition still makes considerable impact on music charts in Norway, and in other Nordic countries, with the 2008 winner topping the Norwegian charts. The Eurovision Song Contest began on 24 May 1956, when the Grand Prix Eurovision de la Chanson Européenne was held in Lugano, Switzerland. Norway's first contest was the fourth, the 1960 Contest. The first Melodi Grand Prix was held on 20 February at the NRK Television Centre in Oslo. Ten songs competed in the radio semi-final, held on 2 February, where the top 5 songs would progress to the televised contest. However this number was increased to 6 after three songs tied for fourth place. The winner of the televised contest was "Voi Voi", performed by Nora Brockstedt. Brockstedt performed Norway's first Eurovision entry at London on 29 March, and placed a respectable fourth. Brockstedt also went on to win the following year's contest as well with "Sommer i Palma". Melodi Grand Prix has failed to be staged on three previous occasions. In 1970 Norway was absent from the contest because of a Nordic boycott of the voting system, which had led to a four-way tie for first place at the 1969 contest. In 1991 no Melodi Grand Prix was held as NRK felt that the submitted entries received for the Contest were of too low quality, and so commissioned an entry for the Contest in Rome. The final instance of no Melodi Grand Prix was in 2002, when Norway was relegated from competing in the 2002 Contest after coming last the previous year. All winners of MGP have gone on to represent Norway at the Eurovision Song Contest. 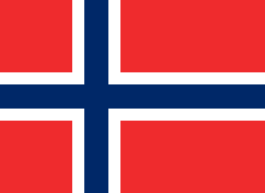 Norway has won it three times: in 1985, 1995 and 2009. However Norway has also come last 11 times, more than any other nation: in 1963, 1969, 1974, 1976, 1978, 1981, 1990, 1997, 2001, 2004 and 2012. ↑ "Norwegian Music Charts - Hold On Be Strong". Norwegiancharts.com. ↑ Kennedy O'Connor, John (2007). The Eurovision Song Contest: The Official History. UK: Carlton Books. pp. 40–43. ISBN 978-1-84442-994-3. Wikimedia Commons has media related to Melodi Grand Prix.